The mobile salon is fully equipped with a hydraulic table, high velocity dryer, hydrobath and air-conditioning. 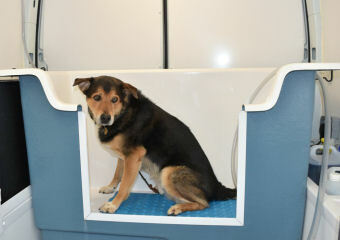 The table and bath are easily accessible for large or small dogs or those with limited mobility. Everything is completed inside the salon, outside your home or workplace, only requiring an electric socket to plug in to. 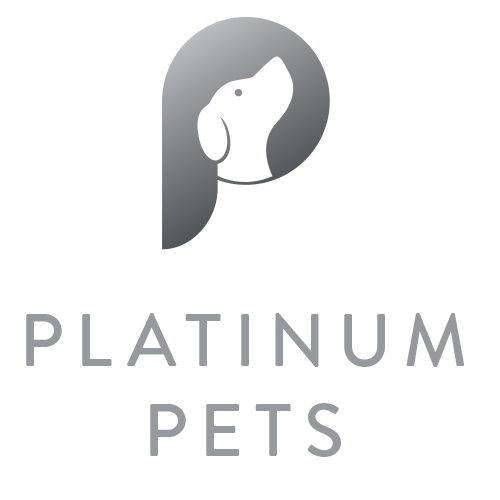 Platinum Pets prides itself on providing a fully tailored dog grooming service, at your doorstep! Each dog will be given a health check prior to grooming and advice will be given on how to maintain your dog’s coat between grooming sessions. The highlight of Alfie’s life is his visits from Ruth. It’s stress-free for him and me. We just plug Ruth’s van into a power point, it couldn’t be simpler and absolutely no mess. Excellent groomer and lots of free advice on all aspects of dog health! Henry loves having his hair cut with Ruth. Jumps straight into the van! Abso-blooming-lutely fantastic! My two boys, Alfie & Stanley,two Shih-Tzus, love Ruth. She turns them from shaggy mess to handsome dogs. 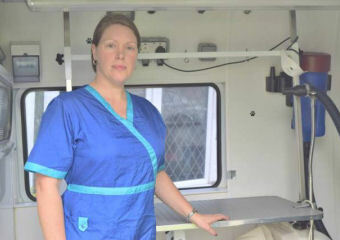 Couldn’t praise Ruth more, she adores all the dogs she grooms, and is soo fabby at what she does. My two ADORE her!